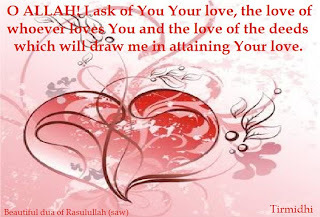 All praise is due to Allah who declares in His most glorified Book that [Allah is the Creator of all things…] (Q39:62). Therefore, Allah is the originator of everything; He created the universe with everything therein, including the trees, the animals, the Sun, the moon, the stars, the mountains and every other creature that exist. It is Allah who created us and the existence around us. 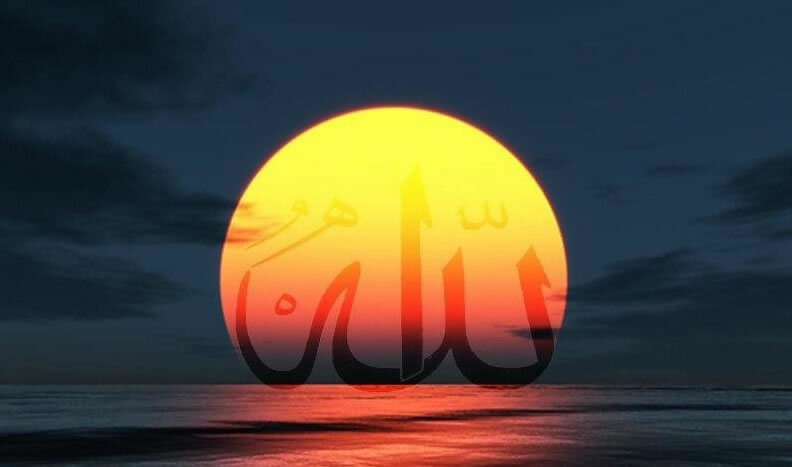 Allah, the most sublime, says: [O mankind! Adore your Guardian-Lord, who created you and those who came before you, that ye may attain righteousness; who has made the earth your couch, and the heavens your canopy; and sent down rain from the heavens; and brought forth therewith fruits for your sustenance; then set not up rivals unto Allah when you know (the truth)] (Q2:21-22). The one who created us and our forefathers before us; who created the different nations and ethnicities which existed before our time is Allah, the Almighty. He has created us for a purpose which is to worship him. Allah, the exalted in power says: [And I (Allah) created not the jinn and mankind except that they should worship Me (Alone)] (Q51:56). It goes to show that it is Allah that created the Jinn and mankind so that they will worship him alone, obey and follow his commands, simply because He is Allah, the master of the dominion, the God of manifest truth. Therefore there is no deity worthy of worship except Allah, the originator and the only one worthy of any form of subservience. Allah, the Almighty, says: [Know, therefore, that there is no god but Allah...] (Q47:19). It means; you should know, O dear mankind, that there is no one other than Allah who is worthy of worship in this universe and everything within it including the earth, the sky, the seas, the suns, the moon, the stars, the planets, the trees, the mountains, the stones, the day and night. There is no other deity in existence who is worthy of worship except Allah; He is the true Omnipotent, the God of manifest truth. He is the only deity in whom we must believe; him alone we must also worship. In doing so, we must take no rivals beside him, neither the sun, the moon, the grave, nor any other creature. We must devote all our acts of worship to Allah alone, and we must obey him and align our obedience with his commands, because he is the one that created us and it is he who will cause us to die. Therefore, none is worthy of worship except Allah, the creator. The universe as a whole points to the existence and oneness of Allah. Allah, the Almighty, says: [Soon will we show them our signs in the furthest regions of the earth, and in their own souls, until it becomes manifest to them that this is the Truth]. (Q41:53). It is Allah who created the cosmos with everything that is within it. He is the administrator and ruler of all affairs therein. We see the sun and moon working according to a well controlled and meticulous system. Allah, the Almighty and Wise, informs us about this saying: [And the sun runs his course for a period determined for him: that is the decree of (Him), the Exalted in Might, the All-Knowing. And the Moon, We have measured for her mansions (to traverse) till she returns like the old (and withered) lower part of a date-stalk. It is not permitted for the Sun to catch up the Moon, nor can the Night outstrip the Day: Each (just) swims along in (its own) orbit (according to Law)] (Q36:38-40). Every one of this planets and stars functions within a very delicate and orderly system put in place by Allah, the most High and the All-knowing. Therefore, there is no deity worthy of worship except Allah; the only one who is truthfully worshiped. If you must ponder on the universe, including the earth, the sun, the moon, the stars, the planets, the mountains, the trees, the oceans and the animals, they will surely point to the existence and oneness of Allah, the most High and the most well acquainted of all things. He is therefore the only deity who creates and who is worthy of worship. It is he who created all those things, the originator of existence and the one besides whom there is no other deity. He is the object of worship by all creatures. Everything repeats his praises, even the birds. Allah, the most High and Wise, says: […and the birds (of the air) with wings outspread? Each one knows its own (mode of) prayer and praise.] (Q24:41). Allah, the exalted in mighty and Wise, says: [...there is not a thing but celebrates His praise; And yet you understand not how they declare His glory!] (Q17:44). It means that everything celebrate his praise, including the animals, the inanimate and the earth, all in a manner that we do not comprehend. We cannot understand the manner in which the birds, the trees and all other creatures, carry out such celebration of praises, for everyone does so in its own tongue or technique, which completely defies our comprehension. But Allah, the most exalted, is well acquainted of their methods. This drives us to ponder and contemplate on the following saying of Allah: [Seest thou not that to Allah bow down in worship all things that are in the heavens and on earth,- the sun, the moon, the stars; the hills, the trees, the animals; and a great number among mankind? But a great number are (also) such as are fit for Punishment...] (Q22:18). Therefore, there is no deity worthy of worship besides Allah, the Omnipotent, the true God of manifest truth, the Creator who is worthy of subservience; unto whom everything prostrate, including the stars, the mountains, the trees, the animals, the sun and the moon. There is no deity worthy of worship except you. O our lord! We worship none other than you. Allah says: [Among His Signs are the Night and the Day, and the Sun and the Moon. Prostrate not to the sun and the moon, but to Allah, Who created them, if it is Him you wish to serve.] (Q41:37). It is therefore clear that Allah is the master of the dominion, the only deity worthy of worship and He is the manifest truth. All Praise is due to Alláh, We praise Him and we seek help from Him. We ask forgiveness from Him. We repent to Him; and we seek refuge in Him from our own evils and our own bad deeds. Anyone who is guided by Alláh, he is indeed guided; and anyone who has been left astray, will find no one to guide him. 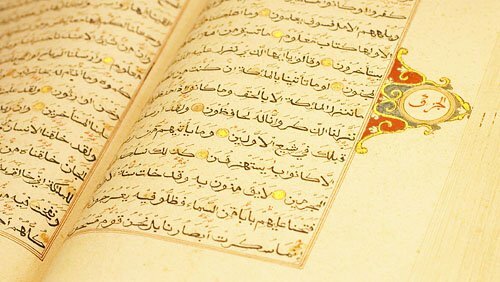 I bear witness that there is no god but Alláh, the Only One without any partner; and I bear witness that Muhammad, sws, is His servant, and His messenger. O You who believe, – Fear Allah, as He should be feared, and die not except as Muslims. My Dear Brothers and Sisters, our recent khutbahs have dealt with many aspects of the Hajj, and no doubt our Eid khutbah on Monday will re-confirm the legacy of love and sacrifice that Prophet Abraham a.s. taught us. Today I’d like to deal with a topic that we all encounter, whenever we discuss natural disasters and personal grief with our friends and neighbours outside the Muslim community. It’s the “problem,” as they see it, of Suffering. Some people argue, that if God is Love, if Allah is All Merciful, then why do people suffer? There are so many earthquakes, floods, volcanoes; there’s so much warfare, hunger and disease: Why do innocent men, women and children have to endure unspeakable hardship? Why do the real sinners seem to get away with their crimes? Sometimes we hear people say, “How can I believe in a Merciful and Loving God when He allows so much suffering?” These people take the existence of suffering as proof that God doesn’t exist, or if He does exist, then He doesn’t deserve to be worshipped, because He appears to be so unjust [wa a-oothu bil-Laah!] How do we deal with such arguments? First of all, we must be clear that every human being, without exception, will at some time or other have to endure hardship, pain, and death. Allah’s help is always near! It’s much nearer than we think! Allah wants us to really feel and experience our desperate need for Him. He wants us to persevere, patiently. He wants us to repose our complete trust in His mercy, so that we can set ourselves apart from those who disbelieve, those who stand against faith. How blessed we are, we who believe in the Lord of all the worlds, and who have absolute certainty, yaqeen, of our Day of meeting with Him! How miserable and lonely, how futile and pointless the life of those without faith, who live from day to day, without any hope and without longing for what lies beyond death! Bismillaahir Rahmaanir Raheem! Tabaark al-lathee biyadihil mulk wahuwa alaa kulli shay-in qadeer! Al-lathee khalaqal mawta wal hayaata liyab’luwakum ay-yukum ahsanu ‘amalaa. Wahuwal ‘Azeezul Ghaf-fuur! Brothers and sisters, here is the key to what some people see as the “problem” of suffering. We know that suffering is a test for us, a test of our patience. We know that peace and prosperity is also a test, a test of our gratitude to Allah. Those who see suffering as a “problem” are really saying that they believe they have a right to a life of uninterrupted happiness, with no discomfort, no pain and no grief. But that’s not what this earthly life is all about! That’s what Allah promises us in akhira, not in dunya! We’re not there yet! We still have to earn the right to enter Allah’s garden! Another point: When believers suffer hardship, they say, “Inna lil-laahi wa inna ilayhir-raaji-oon!” “From Allah do we come, and to Him is our return.” Believing Christians say, “The Lord giveth and the Lord taketh away. Praise the Lord!” You can see how Believers in different faiths speak the same spiritual language. They accept the Divine Decree. Allah does what He Wills, and His will is always, unfailingly good, however harsh it may appear to us on the surface. Our human perception is limited, like ants crawling over a carpet, we complain about the rough surface, the knots and the texture that make our journey difficult. But we cannot see the beauty of the carpet from above. We cannot see the beauty of Allah’s master plan, until we step outside our small, selfish worlds. Believers suffer, but they know their suffering is an expiation of their sins, and their patience and contentment brings them closer to Allah. It’s only when we try to generalize our suffering into a philosophical level, that we have a problem. When non-believers suffer, their lack of faith leads them to endless despair, and sometimes, even to suicide. Let us thank Allah for illuminating our hearts with the light of His guidance. Even if our faith, our iman is as small as a mustard seed; If we truly believe in Allah and we learn to rely on Him completely, then we are much richer and more blessed than the wealthiest non-Believer, whose wealth and happiness stand on shaky foundations. Alhamdu lil-laah, Praise to Allah! Sub’ hanallahi wal hamdu lillah, wala hawla wala quwwata illah billah yu althi yual theem. Brothers and Sisters let us be truly grateful to Allah, that we have this wonderful gift of Iman, this gift of Faith, to illuminate our way through life’s challenges. No fear and no grief, and yet, if you study the Friends of Allah, you’ll find that their lives were filled with incredible hardship, pain and endurance. 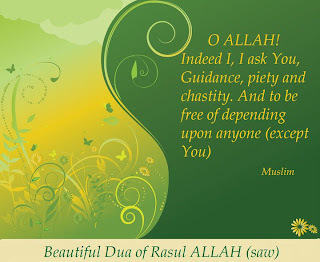 The Friends of Allah taught us Ridha’, that wonderful and serene acceptance of Allah’s will. If we can be islands of calm in the oceans of turbulence; if we can show others a kind and helpful manner, in the midst of life’s problems, we will truly hold high that noble legacy of the Prophets and the Awliya, the Friends of Allah. This is what our world needs today. Our friends and neighbours out there, are in dire need of spiritual guidance. They need a gentle helping hand to show them how to cope with natural and manmade calamities, how to keep their own pain and personal grief in perspective. Brothers and Sisters, let us set a good example, let us inspire our communities with our serenity, our dignity and our strength that come out of true faith in Allah, and total reliance on His Mercy, His Rahma. The Greatest Love of Your Life. I turn away from Shaytaan, the Cursed One. And , I begin, In the Name of Alláh, Most Gracious, Most Merciful. Al hamdu lillahi nahmaduhu wanasta’eenahu, wanastagh-firuhu, wanatoobu ilayhi, wana’oothu Billaahi min shuroori an-fusinaa, wamin sayyi aati a’maalinaa. All Praise is due to Alláh, We praise Him and we seek help from Him. We ask forgiveness from Him. We repent to Him; and we seek refuge in Him from our own evils and our own bad deeds. May- Yahdillahu fa huwal muhtad, wa may- yudlill falan tajidaa lahu waliyan murshida. Anyone who is guided by Alláh, he is indeed guided; and anyone who has been left astray, will find no one to guide him. I bear witness that there is no god but Alláh, the Only One without any partner; and I bear witness that Muhammad, sws, is His servant, and His messenger. Where is the greatest love of your life? Where do you lavish most of your affection and attention? Is it your wife, your husband, your child, your parents, your beautiful home, your nice car, your job, your hobby or sport? Is your most beloved person or activity, the most deserving of your love? And, very important, is your love reciprocated, or are you in an emotional 0ne-way-street? These questions hold the key to our success in this world and the life hereafter. Our khutbah today, is about love reciprocated; love that’s given, and love that’s returned. I have no doubt in my mind that every one of us here has felt the power and influence of love, in its many different forms, throughout our lifetime. We first experienced love at the very moment of birth. Seeing their newborn baby, our parents must have felt so much joy and gratitude to Alláh. With our mother’s warm embrace and that very first drink of our mother’s milk, we must have looked up at her face, feeling her love and security as she gazed down, exuding love and satisfaction. From the first few minutes of life, we were enjoying our parents’ love; at the same time we were showing them our love in return. As we grew up, we continued to love and be loved by our parents, but then, our relationships expanded horizontally and vertically. We now enjoy the love of brothers and sisters, uncles and aunts, friends and wider relations. In time, we become parents and later, grandparents, and so the story of love moves on in ever widening circles, and repeating itself infinitely. The most important point about love is that it needs to be rewarded, returned, and reciprocated. This is the essence of love, that it is given and received, in equal measure. When love is given but not reciprocated, then it is as if a big light has gone out in our lives. Love always needs to be returned, to find completeness and fulfilment within itself. This is not a one-way street. No one enjoys loving, and not being loved. Can you imagine for a moment what it must be like to love someone, and not to be loved in return? Unreciprocated love, Love without love returned, leaves a sense of despair, depression, unworthiness, hollowness and emptiness. Love needs love, and love deserves love to enrich and complete itself. To love and to be loved puts meaning and value into our lives. Now think for a moment, as we sit here, that we are also enjoying a love of a different, deeper and yet subtler kind: the Divine love of the Creator for His creation. None of us can doubt that Alláh, loves us. Whether we are tall or short, fat or thin, black or white, Muslim, Jew, Hindu or Christian, our Creator’s love and provision reaches us all, and we owe Him a debt of gratitude. His sustenance reaches even those who deny His existence, even those who disbelieve in Him. We depend so completely on Alláh, and we owe him everything. He deserves our thanks, our obedience and worship. How do we show our gratitude to Alláh? How do we show gratitude to anyone who has authority over us? At the very least, we show respect and obedience. The best way to show gratitude to our Alláh, is to worship him, to obey him and to avoid displeasing Him. This is how we can reciprocate the divine love, to the One Who gave us life, and Who sustains us for every moment of our lives. If we can accept that love must always be rewarded, should we not then return the greatest of all loves, the unselfish love of Allah? Just think about it. How does it feel when you’ve shown love, kindness and generosity to someone, and your reward is rudeness, ingratitude or indifference! Do you know the feeling? When someone repays your kindness with cruelty. Doesn’t it make you feel angry? Why then, should Alláh not be angry towards those who repay His love with disobedience, ingratitude and disbelief? Dear Brothers and Sisters in Islam, I would like to remind myself and you, about the secret of true love and true happiness. It is not simply to indulge the object of our love, leaving Alláh aside, or to place our love for Alláh right at the end of the queue. The way to real happiness is to place our love for Alláh at the centre of our lives. Our love for Alláh must be greater than any other love. It must come before our love for anyone or anything else. 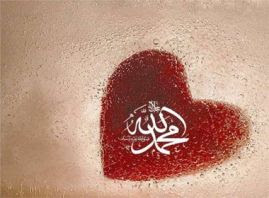 In fact, we only have the capacity to love and care for someone, because Alláh gave us that capacity in the first place! Alláh alone is the creator and author and facilitator of all love. Therefore, it follows that the first and most deserving love, should be our love for Alláh. When we love Alláh first, we give meaning, and purpose and balance and harmony to every other aspect of our life. Look what happens when we fail to put our love for our Creator at the top of our agenda: Our loving nature loses its sense of proportion. It loses direction. Excessive love for oneself then becomes vanity, conceit and egotism. Excessive love for one’s community or race becomes bigotry and racism, and excessive love for one’s nation becomes arrogant Nationalism, or Fascism. Zionism, like Nazism and Apartheid before it, is a distorted Nationalism pretending to be a respectable political idea. It is only the Love of Alláh that brings proportion and harmony to life, and illuminates all our other loves and relationships. If we can all remember this and live by it, we will go a long way towards making our lives happier and more meaningful. “Alhamdu lillahi Rabbil ‘Aalameen. Was-salaatu was-salaamu alaa Khairil mursaleen. Muhammadin-nabeey-yil Ummiy-yee, wa-‘alaa aalihee, wasah-bihee, aj-ma’een. All praise is due to Alláh, the Lord of all the Worlds; may the greetings and peace be upon the best messenger, Muhammad, the unlettered prophet; and upon his family and upon all of his companions. Innalláha wa malaaikata yusallúna alan nabi. Yá ay yuhal latheena ámanu sallú alayhi wasalli mú tas leema. O Alláh! Send your greetings upon Muhammad and his family, just as you sent your greetings on Ibraheem, and his family. O Alláh, send you blessings on Muhammad and his family, just as you blessed Ibraheem and his family. In both worlds, you are praiseworthy and exalted. How do we begin to place our love for Alláh at the centre of our lives, at the top of our priority love-list? The short answer is Zikr, the constant Remembrance of Alláh. Zikr is not just an optional thing we do after completing Salaah. Zikr is an integral part of Islamic worship. Remembering Allah must become a way of life. We should train ourselves to be Alláh-conscious during every waking moment. Some Sufis recite the Asma-ul-husna, the Beautiful Names of Alláh, with every breath and every heartbeat. We can at least think consciously of pleasing Alláh, and avoiding His displeasure, every time we make a decision or start an action. We must constantly ask ourselves, why am I doing this? Is this decision, this action going to bring me closer to Alláh? Or, is this decision, this action going to arouse Alláh’s anger? If we do this exercise regularly, consistently, this attitude will transform our lives at the most basic level. Seeking to please Alláh, instead of seeking to satisfy our own lusts, will transform us from mere humans beings, wandering aimlessly, to the true Believers that we Muslims ought to be. We must expect the going to be difficult at first, because this is a major turning point in our lives. But if we persist in our efforts, and we are patient, we will, in time, ish-Alláh reap the rewards of returning Alláh’s love with our love and obedience. My Dear Brothers and Sisters in Islam, let us ask Alláh to make us all worthy and deserving of His love. 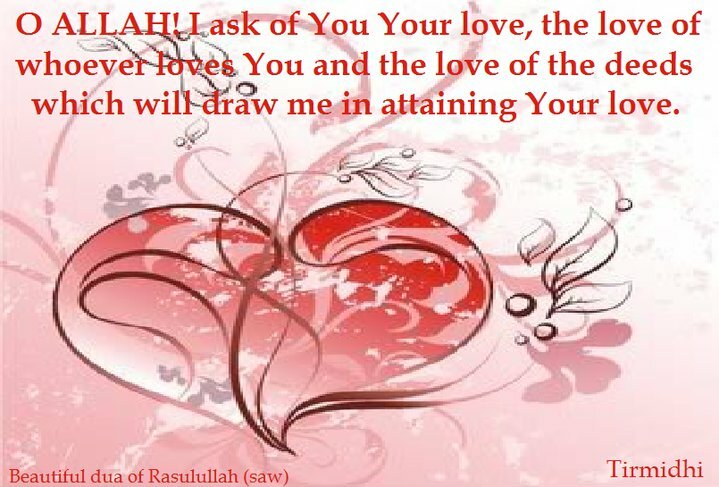 Let us make the effort, and seek Alláh’s help, in completing the circle of love given and love returned. Let us show the Creator of love, that we have worked hard to bring our free will, and our heart’s desires back into alignment with Him, the way He created our true nature before we were exposed to temptation. Let us teach our children that the way to live successfully is to recognise Alláh’s loving hand in everything we see around us, and to return that love with every good thought, every good word and every good action in our lives. O Alláh, help us to purify ourselves in body, mind, heart and spirit. Help us to seek and find your good pleasure, and O Alláh, remember us in the company of your beloved friends. This verse was revealed to the Messenger (SAS) by Allah The Almighty from above the Seven Heavens, soon after the Muslims suffered a defeat in the Battle of Uhud and returned to Al-Madinah dejected and downtrodden. It was revealed as an encouragement to the believers after a victory that was in their grasp, was snatched away from them and turned into a defeat. However, this defeat was only a temporary setback so that the believers could reflect upon the reasons for the defeat, described in successive verses of Surah Ale-Imran. The mistakes and sins of a few believers had deprived the whole army of victory. And so Saad (RA) proceeded to fight the Persians and, sticking to the advice of his leader, he imprisoned the alcoholic Abu Mahjan Ath-Thaqafi lest his presence in the army delays the victory. 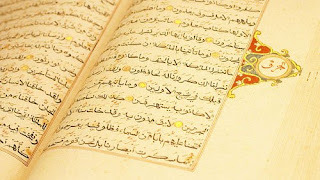 Until, Abu Mahjan lamented in his shackles and composed verses of poetry that touched the wife of Saad (RA) to temporarily release him so that he could participate in the battle with his brothers. Abu Mahjan thus went out riding the horse of Saad (RA) (as Saad (RA) was bedridden with fever) and performed unmatched feats of valour before returning to his cell in the evening and wearing his shackles back by himself. This continued for three days until, when Saad (RA) found out about the heroics of Abu Mahjan, he untied his shackles with the words: “By Allah! I will never imprison you again for drinking alcohol!” Upon this, Abu Mahjan replied, “By Allah! I will never again touch alcohol after this day!” The army was victorious and Saad (RA) appointed the ascetic Companion Salman Al-Farsi (RA) as the new ruler of Persia, who lived on a meagre salary of one dirham per day. Victory and defeat, gains and losses, and successes and setbacks are not decided by money, resources, numbers or skills. Rather, they are decided by the balance of obedience and disobedience of Allah The Exalted. The more we obey Allah, both individually and collectively, the more we hasten His Victory. The more we disobey Allah, the more we delay the arrival of His Victory. One Muslim’s sins can delay the victory for everyone. It is very easy to blame Bush and Blair, the ‘West’, the ‘kuffar’ or simply ‘them’ for all our woes and worries. But it is not so easy to look in the mirror and point the finger at ourselves. Look at us and our pathetic state. We have abandoned Salah or we delay it or rush through it. We are too stingy to give Zakah, let alone optional charity. We prefer to go on holiday than to go for the obligatory Hajj. We drink alcohol, we use and supply drugs (Muslims are amongst the biggest suppliers of drugs in the world today), we cohabit outside wedlock, we steal, we cheat. We eat haram, earn haram and sell haram. We beat our wives and force our daughters into marriages then use Islam to justify it. We are quick to spend on fashion and luxuries but slow to spend on orphans and the needy. We fail to utter a single word, let alone raise a finger, when we see our fellow Muslims imprisoned , tortured, house-arrested, extradited or slain for fear of being ‘linked’ to them. We waste our lives watching television and playing computer games then complain that we don’t have enough time to become better Muslims. We are too addicted to music to find time to listen to or memorise the Quran. We are too busy in fun and games to fulfil our responsibilities as vicegerents on Allah’s Earth. And after all this (and more), we have the audacity to wonder why Allah’s Victory has not yet arrived. With our paltry state, we should more likely expect Allah’s Wrath and Punishment rather than His Victory. Every sin we commit delays the arrival of Allah’s Victory. Every Salah we delay extends the incarceration of a captive at Guantanamo Bay. Every drug we take allows another Quran to be flushed down the toilet. Every hour we waste watching TV allows another Muslim to be kidnapped and extradited into the hands of savage beasts. Every time we gaze at something forbidden, we place an obstacle in the path of Allah’s Victory. A sin is not a ‘private matter between me and Allah’ but one sin can make the difference between victory and defeat. Every sin we commit is one more reason why Allah should not grant us relief, safety and victory. Allah has made us a Promise in the aforementioned verse: “So do not weaken and do not grieve, for you will indeed be superior if you are truly believers.” He promises us relief, assistance, superiority and victory on the condition that we are true believers. If we suffer defeats today then it does not mean that Allah’s Promise is false. Instead, the question we must ask ourselves is: are we truly believers?